What did you think of Subtracting One-digit Numbers from Numbers upto Two Digits ? 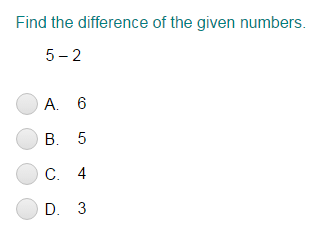 Let's find the difference of 10 and 5. Count back from the bigger number.